Shopping sites like Amazon already kicked off their Pre-Black Friday Deals and that only means one thing – the holiday season or should I say, the spending season is officially upon us. According to a 2017 retail spending survey, the average consumer is expected to spend an average of $1,226 during the holiday shopping season. The survey also shows that shoppers plan to spend 51% of their holiday spending budget online and 42% in store. 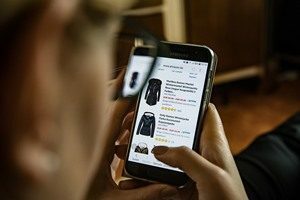 If you are one of the majority of consumers who plan to do their holiday shopping online, know that there are various shopping portals that won’t just give you the best deals but cashback rewards too! Dosh is a cash-back app that connects to your credit and debit cards. What’s great about this cash back program is that besides physical purchases, you can earn rewards from your travel expenses such as hotels, restaurants, amusement parks, etc. – perfect for your holiday vacations. Just like Dosh, Drop is also an app that links to your credit or debit cards and turns your purchases into rewards. When you start earning points, you can exchange them into gift cards (there’s no cash reward option as of the moment), such as Starbucks, Whole Foods, Hotels.com, American Airlines and a lot more. This site has a long-standing reputation for giving cashback on your online purchases. You don’t get discounts or deals upfront but if you shop through their site, you get up to 25% cash back. Signing up is free and Ebates works with 2,000 retailers including Walmart, Target, Macy’s and more. Get rewarded with gift cards for shopping through SwagBucks. Aside from getting rewarded for shopping, the site also rewards you for taking surveys, watching videos, searching and more. Using reward programs like the apps and sites mentioned above is an easy way to save money on your purchases. However, just because you’re “earning” from your purchases doesn’t mean you can just spend your money mindlessly – it defeats the purpose. Make sure to use these cash back portals to maximize your savings instead of overspending. This entry was posted in Budgeting, Expenses, Income. Bookmark the permalink.